The fourteen-year-old narrator of IN ZANESVILLE is a late bloomer. She flies under the radar-a sidekick, a marching band dropout, a disastrous babysitter, the kind of girl whose Eureka moment is the discovery that "fudge" can't be said with an English accent. Luckily, she has a best friend with whom she shares the everyday adventures of a 1970s American girlhood, incidents through which a world is revealed, and character is forged. In time, their friendship is tested--by their families' claims on them, by a clique of popular girls who stumble upon them, and by the first, startling, subversive intimations of womanhood. 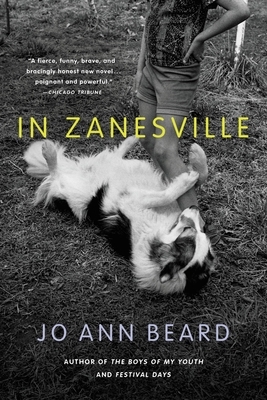 With dry wit and piercing observation, Jo Ann Beard shows us that in the seemingly quiet streets of America's innumerable Zanesvilles is a world of wonders, and that within the souls of the overlooked often burns something radiant.